1992. Craig Stroh shooting film at Shark Island. Before commercially available waterhousings, surf photographers often made their own camera housings from perspex, fibreglass and lots of trial & error. Tim Vanderlaan Photo. 1995. Legendary 60’s surf photographer Jack Eden captured here in a rare surf image where he himself is the subject. Tim Vanderlaan Photo. 1998. 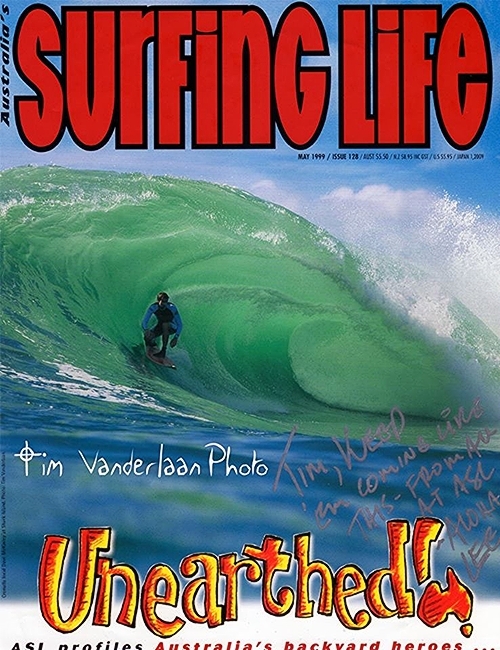 “Surfing Life” cover shot of Speg at shark Island. Sometimes all the elements of a good surf shot combine in a single moment of time. Issue 128. published May 1999. Tim Vanderlan Photo. 1997 TB (Terry Brown) and his buddy Hanson hamming it up at a reunion of sixties surfers back in 1997. Tim Vanderlaan Photo. 1995. Toes on the Nose. Dane Wilson has the uncanny skill of being able to ride a wave whilst steering the board from the nose. Tim Vanderlaan Photo. June 1995. Dane Wilson. 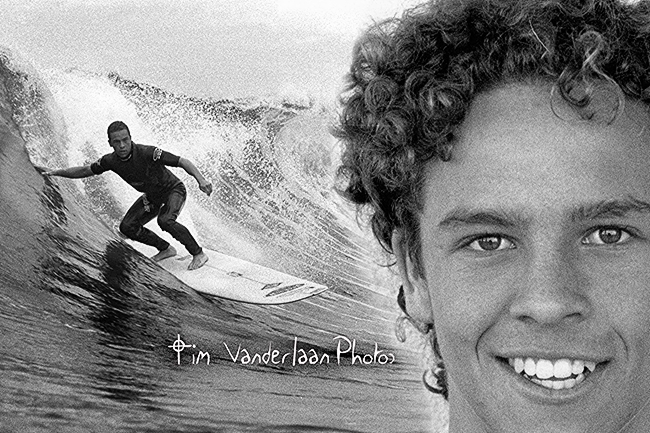 One of the surfing stars featured in the Chris Bystrom’s Longboard videos of the 1990’s, “Living Long” & “Skateboarding’s not a crime”. Tim Vanderlaan Photos. June 1995 Shark Island. Unidentified surfer casually riding in the eye of a cold and overcast winter island wave. Tim Vanderlaan photo. June 1995 Shark Island. Unidentified surfer casually dragging a hand on a cold and overcast winter wave. Tim Vanderlaan photo.